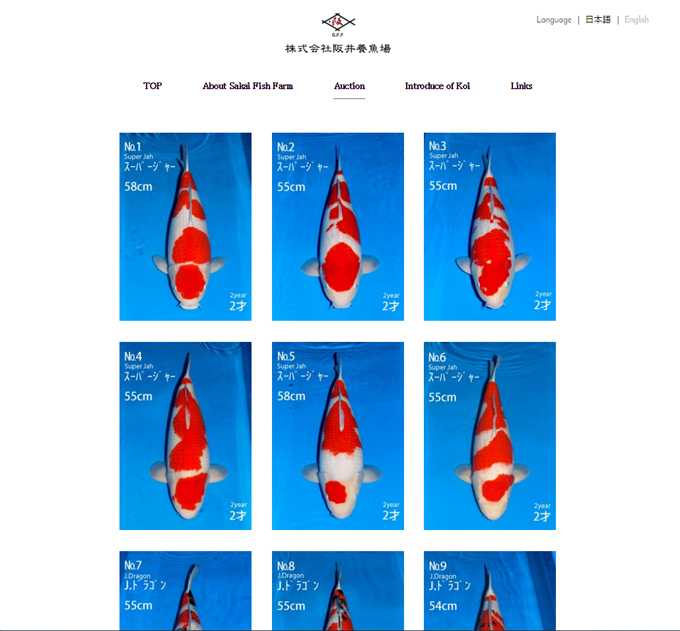 Sakai has started posting photos online of the koi that are going to be offered at the upcoming Winter Dealers Auction on December 17th. Don’t forget to check back frequently as new koi will continue to be added in the days leading up to the auction. Pan Intercorp will be in attendance and can bid on your behalf. This entry was posted in Uncategorized on December 6, 2015 by koiadmin.